When a community college student starts out his or her academic career, they could go for a certificate, an associate’s degree, or aim to earn enough credits to transfer on to a four-year school. With all the potential avenues to pursue, it is not always clear which will lead to the best possible outcome when they leave college and join the workforce. A new report from the Center for Analysis of Postsecondary Education and Employment (CAPSEE) out in late March looks at what those outcomes might be. Completing an associate’s degree results in an annual $6,000 bump in income, on average, and completing a certificate brings a return of $2,000 on average. “We have a consistent, robust, and durable effect of finishing community college over not finishing community college,” said Dr. Clive Belfield, professor in the department of economics at Queen’s College, CUNY and one of the authors of the CAPSEE report. The report analyzed Department of Labor statistics and data from eight states, tracking students from the early 2000s to the present. “The returns are pretty strong across a pretty rocky time period,” Belfield said, noting that the study covered the period during the Great Recession, an economic downturn when even college graduates struggled to find remunerative work and newspapers buzzed with stories of liberal arts majors forced to become baristas. While an income gain of $6,000 may not sound like a massive jump, Belfield noted that the majority of graduates surveyed for the study were under 30, so commensurate to the average salary of an early-career worker, that amount would most likely represent a not-insignificant increase in pay. To maximize earning potential, community college students should focus on completing vocational courses with the intent of coming away with a certificate or associate’s degree, Belfield said. If they are able, students should then attempt to move on to a four-year school, since a bachelor’s degree still offers graduates the best returns. 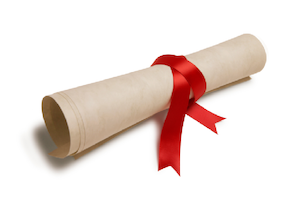 Not all degrees and certificates are created equal, however, the report found. Health degrees were by far the best bet, followed by business and technical degrees. “Just under half of all postsecondary certificates are in health fields, and they are predominantly in nursing, allied health, dentistry,” Belfield said. “Those pay off pretty strongly.” An associate’s degree in the arts, however, offers basically no return, unless the graduate uses the credits to move on to a four-year school. Interestingly, women see more of an income gain from completing an associate’s or certificate than men. On average, women with an associate’s can expect to earn $7,200 more than women who do not complete a degree. By comparison, men see only a $4,600 bump in pay on average. With a certificate, women saw an average gain in earnings of $2,940 a year, compared to non-completers. For men, the number was again slightly less, with an expected gain of $2,110 a year. The income gains that certificate holders see decrease over time. While completing a degree or certificate offers clear benefits, graduation and completion rates at community colleges are still quite low. “Roughly speaking, about 20 percent of students graduate, perhaps a little bit more, depending on which certificates you count, and another 15 then get a bachelor’s,” Belfield said. That pegs the overall completion rate – of an associate’s, bachelor’s, or certificate – for students starting out in community college at about 30 percent. “It’s not so much that community college students get to the four-year college and struggle, it’s more that they never get to the four-year college in the first place,” Belfield said.